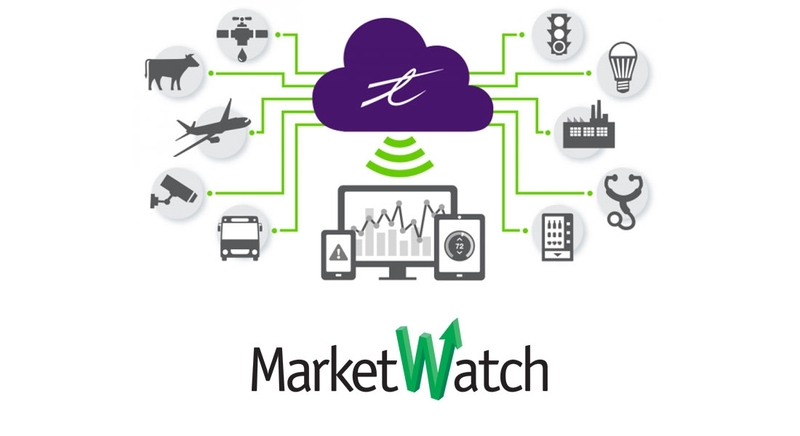 TORONTO, ONTARIO, Jul 29, 2015 (Marketwired via COMTEX) — TELUS (T) TU, +1.02% continues to lead the way in helping Canadian businesses capitalize on the potential of Internet of Things (IoT) technology, revealing today it has added more than 30 innovative new solutions to the TELUS IoT Marketplace since its December 2014 launch. From smart restaurants to intelligent stores to connected farms, the TELUS IoT Marketplace offers ready-to-implement wireless network solutions to help businesses across a wide array of industries become more efficient, productive and profitable. The TELUS IoT Marketplace is Canada’s first and largest portal for IoT solutions. The platform houses an online catalogue of turn-key IoT solutions curated from cutting-edge innovators and industry-leading technology companies. Functioning much like an “app store” for IoT, the TELUS IoT Marketplace enables Canadian businesses to quickly identify and request a TELUS-approved IoT solution that can simply be added as a monthly charge to their TELUS bill; dramatically simplifying the complexity and reducing the deployment time of IoT technology. Screenscape Connect by Screenscape – Screenscape provides easy-to-use digital display solutions that transform any TV with an HDMI connection into a dynamic Internet-enabled digital sign. Businesses can create and manage their own content and advertising for a network of screens through a simple cloud-based management platform. Waste Removal Fleet Management by Focus – Focus offers municipalities a connected solution to manage their waste removal routes and fleet. Waste removal routes are individually managed to include correct sides of the road and marked complete in real-time to provide a better view of a day’s collection and status. From viewing what is left to remove, to the amount of waste collected, Focus can help a city manage its resources more effectively. Public Transportation Wi-Fi by Colony Networks – Colony Networks provides rapidly provisioned cloud-based mobile network software solutions. Their Public Transportation Wi-Fi solution provides any transportation company with a fleet of vehicles (e.g., taxis, busses and limousines) to cost-effectively deploy and manage a free Wi-Fi network for their customers. The solution is currently deployed by TELUS and Yellow Cab to offer free Wi-Fi service in Yellow Cab’s Vancouver fleet. Network Connectivity Monitoring by Infra-Solutions – Infra-Solutions helps organizations optimize the performance and availability of their networks. In a business full of connected devices, a network outage can mean decreased productivity and lost revenue. Infra-Solutions quickly identifies the source of the outage while providing wireless backup to keep businesses running without any downtime. Mobile Payment and Loyalty by Smoothpay – Smoothpay makes it easy for merchants to accept mobile payments and create their own loyalty and rewards programs. They provide a fully integrated point-of-sale solution that combines mobile payment, loyalty, offers, order ahead, search and social media interaction, which customers interact with through an iOS or Android app. Irrigation Management by Semios – Semios is a precision-farming platform that provides pest management and irrigation tools for tree fruit, nut and grape growers. Their Soil Moisture solution uses real-time data to prevent over/under watering, delivering real-time crop notifications to farmers’ smartphones. Manufacturing Monitoring and Prevention by Predikto – Predikto develops software to help companies in asset-intensive industries gain insight into the health of their industrial equipment. They provide a fully automated predictive analytics software platform designed to identify failures in industrial equipment before they occur; enabling businesses to reduce downtime through proactive, rather than reactive, maintenance.